New Chief Financial Officer at Telenor Connexion. Karin Bjernbäck D'Hondt appointed as new CFO of the leading connected service enabler and M2M pioneer. Karin Bjernbäck D’Hondt appointed as new CFO of the leading connected service enabler and M2M pioneer. Telenor Connexion, a leading enabler of connected services, today announced the appointment of Karin Bjernbäck D’Hondt as new Chief Financial Officer. 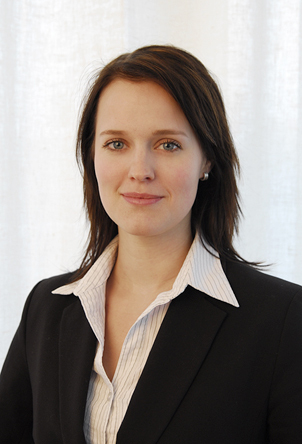 Karin Bjernbäck D’Hondt has 10 years of experience in Finance and Business development within the Telecom industry. Previous experiences include management positions in companies such as Sting Networks (now part of Bahnhof). Karin Bjernbäck D’Hondt joined Telenor Connexion in 2009. Prior to taking on the position as CFO she held the position Head of Business Control. Bjernbäck D’Hondt holds Master degrees in Business Administration and Economics as well as in Computer and System Sciences. “I am very pleased to appoint Karin Bjernbäck D’Hondt to this important position. Her demonstrated track record and hands on business experience made her the perfect candidate to step into this important role on our management team. She will be invaluable as we pursue our strategic growth objectives in the future”, saysPer Simonsen, CEO of Telenor Connexion. As CFO, Bjernbäck D’Hondt will be responsible for managing the finance processes for Telenor Connexion, including budgeting, accounting, cash management, and financial planning and analysis. She will be part of Telenor Connexion’s executive management team and report to Simonsen. “I’m excited to join the management team and look forward to ensuring that the future of the organization continues on a solid financial foundation. Telenor Connexion is constantly exploring new fields in this exciting and rapidly growing business,” says Bjernbäck D’Hondt. Telenor Connexion is headquartered in Stockholm, Sweden with a technical centre in Karlskrona, Sweden and regional offices in UK, Germany, US and Japan. The company was established in 2008 and originates from the successful M2M business within Telenor Sweden. Telenor Connexion is wholly owned by Telenor Group, one of the world’s major mobile operators.